Premiering in the UK at Film4 FrightFest on August 28, 2015, The Shelter played with audiences minds with its mysterious and incredulous plot. 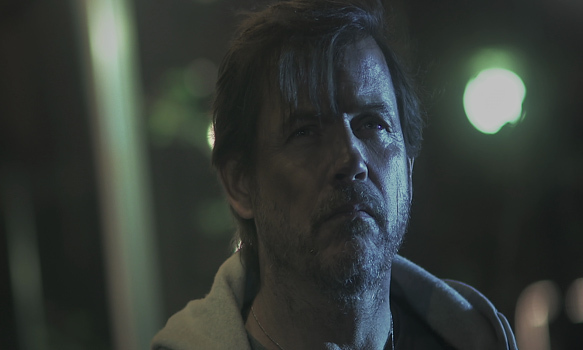 Written, directed, and produced by John Fallon (Dead Shadows 2012, American Muscle 2014), the thrilling Horror film stars Michael Paré (Eddie and the Cruisers 1983, Streets of Fire 1984) as Thomas, exploring the redemption and the hardships a man suffers to get through. 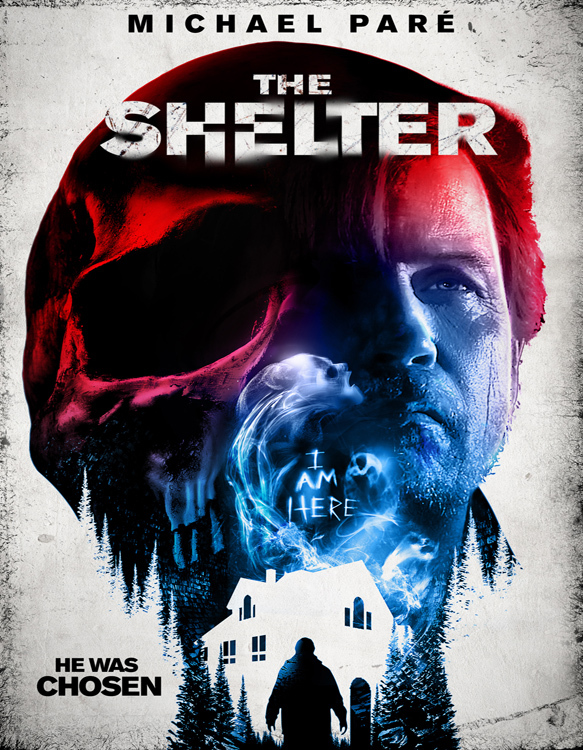 Now picked up by Uncork’d Entertainment, The Shelter opened in select theaters out in Los Angeles, California on November 4th, with a DVD release set for January 3, 2017. For Thomas, life has not been easy as he has lost his wife and future daughter to suicide. There is no meaning to life anymore and Thomas just roams around town looking for the next thing to console him, even for a little time. On one chilly night, Thomas, drunk, finds shelter in a seemingly vacated lavish house and soon finds out that the owners are nowhere to be found. After a succulent feast and a warm bath, Thomas discovers that the house may not be as alone as he initially thought. Thomas begins to get flashbacks, and even flash-forwards of a future that could have been, but never was. In those visions, he sees himself happily married and with a grown daughter; he even sees a woman who he appears to be having an affair with. 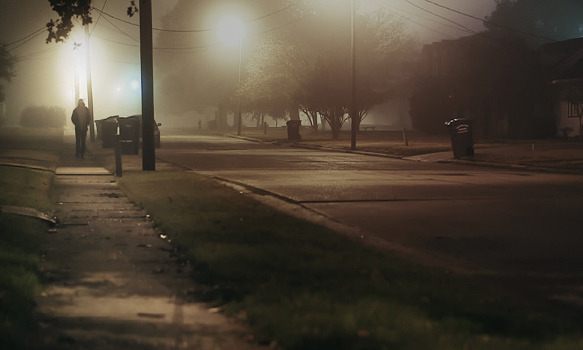 After waking up, Thomas sees that not everything is what it seems and there is no way out. With the doors and windows locked, Thomas seeks answers that may or may not be spiritually given. Not only does he get answers, but he finds more problems to the solutions that he never thought possible. Someone is either helping or hurting Thomas and time is passing by so quickly, he needs to find another way. Usually, people do not get excited for this type of movie, but besides being spiritually inclined, The Shelter offers another type of emotion that goes hand in hand with spiritual, suspense. When the Thriller first begins, the audience is not quite sure what is going on, but as the film transgresses, pieces of the puzzle start to slowly come to view. It keeps people guessing what is going to happen next and the level of realism makes this film a special gem when it comes to Thrillers. Although, The Shelter, having similar ideas in common with other Thrillers, is very different in a good way. It makes people feel mix emotions such as fear combined with sadness because it has the power to deliver several emotions at the same time, and that is what people look for in a good movie. Furthermore, Michael Paré , as the main character, does not have a lengthy cast to work with, but he made sure to play his character well enough to fill that gap. All this in mind, CrypticRock gives The Shelter 4 out of 5 stars. G. A. is an avid fan of writing. 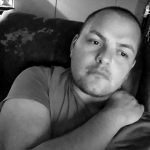 Having graduated with a Psychology Degree and having finished his first novel, he spends his days writing and reviewing Horror movies and TV Shows. He also considers himself to be a mega fan of Pop artists and his current obsession is Ariana Grande. In his spare time, he likes playing video games when he is not working full-time or reading the newest books.